I'm re-posting this for 2017. Two years ago at this time, you might remember that Rav Eitam and Naama Henkin z"l were brutally murdered by terrorists in Israel. Hashem Yikom Damam. 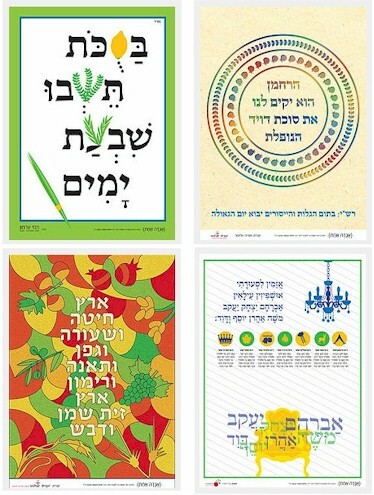 Last year, in their memory, a group of graphic designers have designed a series of Sukkah posters and are making them available for free download. 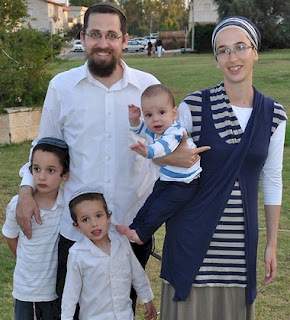 Naama Henkin was a graphic designer who had just designed a free poster for Sukkot before she and her husband were murdered on Sukkot last year. You can download and print all the posters for FREE here. (If you need an inexpensive laminator to laminate these before hanging them in your Sukkah, check out the Bonsai Thermal Laminator for only $18.99 on Amazon here.) What a meaningful way to memorialize this beautiful couple.